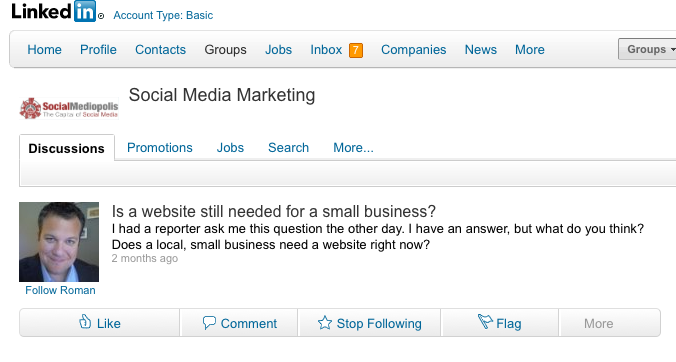 This is a comment that I posted today on a Linked In Discussion called “Is a website still needed for a small business?”.Here is my answer. I have to admit that I am a late joiner on this discussion and I simply don’t have the time to read the 417 comments that are posted, but I commend you Roman for getting some good discussion happening. What is Google+? Google+ is Google’s latest social media tool. What makes Google+ unique is that it considers how we work as humans, and what’s not working with the current tools we are using. Its aim: To fix online sharing, making it less awkward and more sensitive.